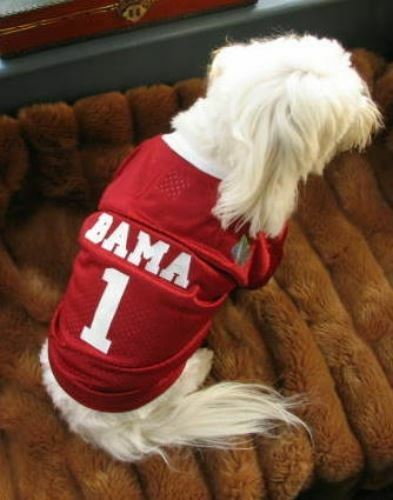 This Alabama Crimson Tide Dog Jersey is Officially Licensed NCAA Pet Apparel. 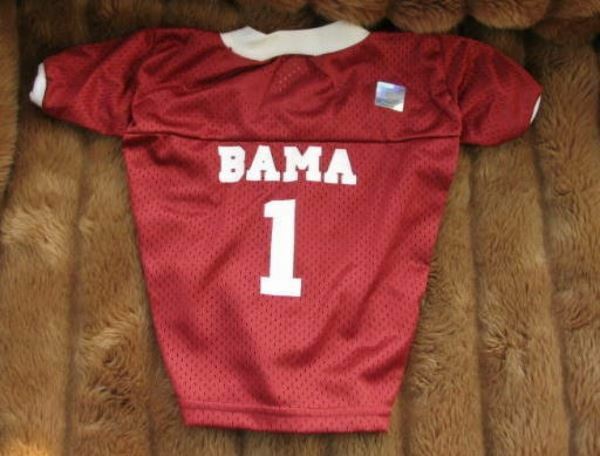 The Alabama Crimson Tide Dog Jersey features screen print numbers and lettering on a 100 percent nylon mesh body jersey. The collar and cuffs are rib knit.